The Wat Buddhanusorn Sunday School was founded in 1983, just three month after the temple was established. The main purpose of the school is to teach and promote Thai culture, language and art for Thai youth and those who are interested. The teaching stuff consists of local volunteers and instructors from Chulalongkorn University of Thailand. Wat Buddhanusorn Sunday School consists of three departments; Thai Language Department, Thai Classical Music Department, and Thai Classical Dance Department. 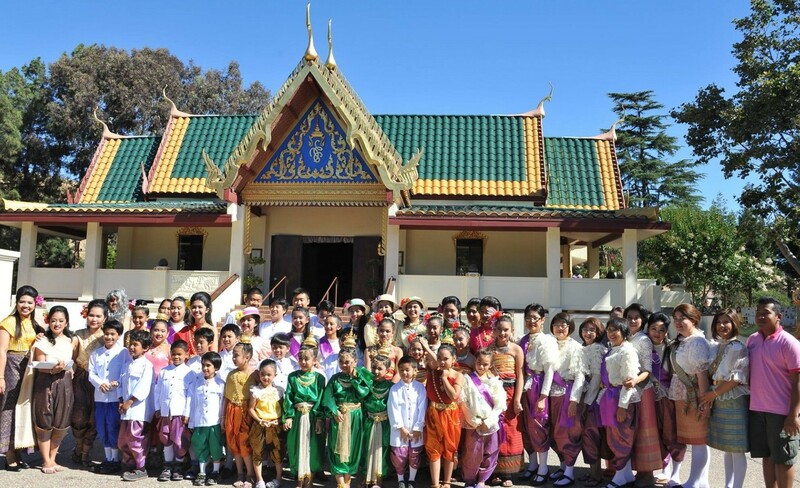 The Wat Buddhanusorn Sunday school seeks to instill in Thai children in the U.S. an understanding and pride of their Thai heritage. We have continued to provide education through its Sunday School program, still with considerable attendance twenty years after it was established. We have been actively giving performances, presentations, classes, and workshops since its founding in 1988. Our Wat Buddhunusorn Sunday School is opened to anyone who is interested in learning more about Thai culture and Thai Buddhism. 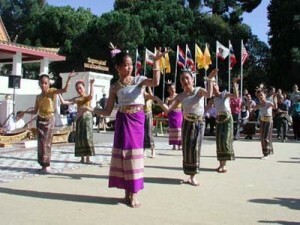 This program started in 1988, we teach Thai language, culture and folk games to the Thai-American children. For youth between the ages of 10-15 during the summer to provide an in depth introduction to Thai Buddhist tradition. This course focuses on learning Thai language while also emphasizing the important role that Buddhist teachings play in Thai culture. 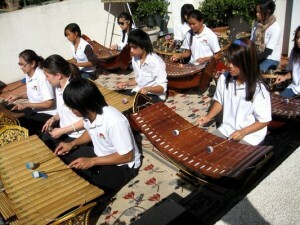 Students will learn traditional Thai music along with traditional Thai instruments such as Khim (Zither), Kongwong (Gong Circle), Ranard (Xylophone), and more. This course is taught by instructors form Chulalongkorn University of Thailand and local volunteers and is held on weekends during the normal school year. Wat Buddhanusorn is offering a free tutoring program for Grades K-5 and high school students in all subjects. 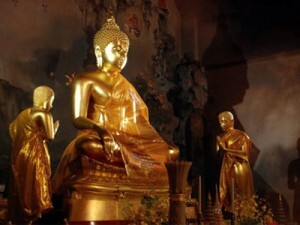 Children Buddhism class at Wat Buddhanusorn introduces children to simple Buddha’s teachings. 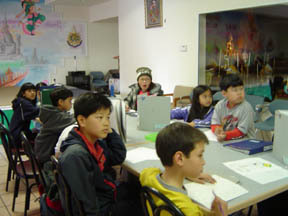 This class is held on the third Saturday of every month (once a month) and it is taught in English by volunteer teachers. This class is open to the public and it’s free of charge. Children Ethic Class at Wat Buddhanusorn is an half an hour session aim to help transmit and instill Buddhist and Thai ethic to our children. 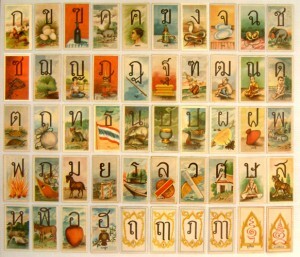 Wat Buddhanusorn Sunday School offers American youth and adult the opportunities to learn Thai language. This summer camp program offers during the moths of June and August.